Tampa Bay area’s Fisher Properties Group provides full-service turn-key rental property management and real estate brokerage services. Our specialty is property management of single-family rental homes, condos and townhomes in the Tampa area. We have a long history and expertise in both the residential and commercial real estate industries. Our process allows you as an owner to entrust your investment property to a competent experienced property management team to ensure the most efficient cash flow and protection of your investment. Property management can be stressful, but it is our specialty. 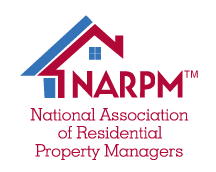 A lot goes into managing a rental property. Have you considered it all? We have. Click to learn more about managing a rental and how we can help. For our prospective tenants, we can help you find and apply for your next home. Our current residents enjoy up-to-date technology and services to make your stay the best it can be. Log on to your Tenant account to view your current and past statements, see related documents, pay your rent and submit an online work request.